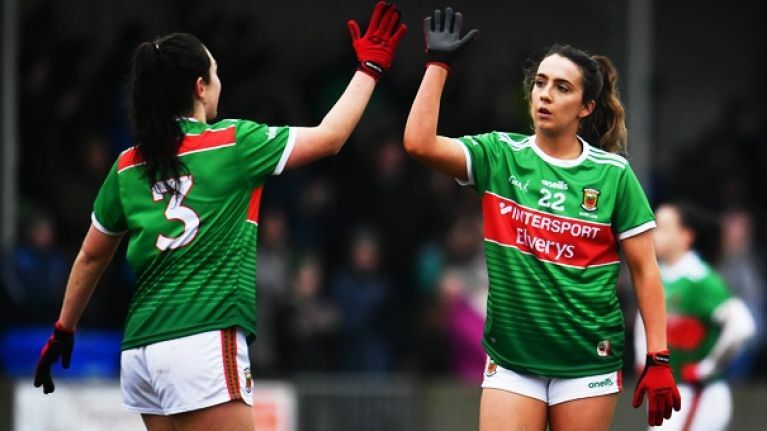 Mayo launched their Lidl NFL Division 1 drive with victory as a 1-6 haul from full-forward Rachel Kearns saw them past Tipperary at Swinford Amenity Park, while Westmeath claimed the spoils against Monaghan in Mullingar. Kearns was inspirational for the westerners, while Grace Kelly also hit the net for Peter Leahy’s side in the space of four first-half minutes, which helped them into a 2-9 to 0-4 interval lead. But on their introduction to the top flight Tipp launched a spirited comeback in the second period. Led by Aishling Moloney the Munster girls poured forward, while a run of points from Niamh Lonergan, Roisin Howard, Angela McGuigan and Ava Fennessy saw the gap gradually close. The home side were pinned back for long periods but broke out to land points from Kearns and Roisin Durkin before the end to seal the three points for Peter Leahy’s side. Meanwhile, Westmeath, under new manager Sean Finnegan, got their season off to the perfect start as Leanne Slevin landed five points in a well merited ten-point win against an out of sorts Monaghan. Leading by 1-10 to 0-4 at the half, this game was almost done and dusted at the break and despite some stout resistance by the Farney girls after the interval, Westmeath cruised to the win. Westmeath opened brightly with super points from play by Sarah Dolan, wing back Fiona Claffey and two Slevin frees, while Monaghan replied with a couple of excellent Ciara McAnespie strikes in an entertaining start. But a goal from Lucy McCartan put Westmeath in control and gave her side a nine-point interval lead. Leanne Maguire led the Monaghan fightback with two points but the gap was too wide to close and Westmeath claimed victory. 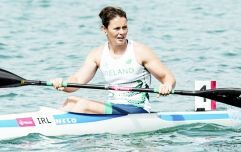 In Mallow earlier in the day, captain Tracey Leonard scored four points and Roisin Leonard bagged the crucial goal as Galway claimed an impressive victory over Cork. New boss Tim Rabbitte got his tenure off to a winning start against an experienced Cork outfit, with the Rebelettes lining out with nine players who started last September’s TG4 All-Ireland Final defeat against Dublin. Tracey Leonard and Aine T O’Sullivan exchanged points early on, but Galway claimed a foothold in the game when Roisin Leonard hit the net just before the break to put Galway 1-4 to 0-2 ahead at half-time. And with Mairead Seoighe and Treacy Leonard in good form in front of the posts Galway easily held on to their lead and ran out 1-8 to 0-5 winners. In Division 2, Waterford won the South-East derby against Wexford on the Gold Coast by 0-12 to 0-3. 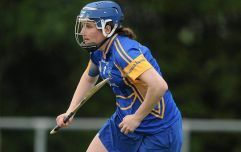 On Saturday, captain for the day Maria Delahunty landed four points and the game was also notable for Michelle Ryan’s inclusion in the Waterford side, for an incredible 19th season. On Sunday, there was a big win for Armagh over Laois, while a late Kerry comeback earned them a draw against Clare, and Tyrone pulled off a similar escape to draw with Cavan. In Division 3 on Saturday, Kildare and Roscommon got their campaigns off to winning starts before Down fired six goals past Offaly to take the win on Sunday. Saturday’s Sligo v Meath fixture was postponed until the weekend of February 16/17 due to a frozen pitch. Meanwhile, in Division 4, there were wins for Limerick and Carlow, while the Antrim v Leitrim fixture was postponed until the weekend of February 16/17 due to a bereavement in the Leitrim camp, and the Fermanagh v Derry game fell foul to the weather.